So for this weekend, I’m recommending the Millenium trilogy – The Girl with the Dragon Tattoo, The Girl Who Played with Fire and The Girl Who Kicked the Hornets Nest. I streamed it from Showmax over the past two weekends and thoroughly enjoyed it. The Millenium series – which I’ve read – is by deceased Swedish writer Stieg Larsson and is about a hacker Lisbeth Salander (Noomi Rapace) and journalist Mikael Blomkvist (Michael Nyqvist). The first film, The Girl with the Dragon Tattoo has a mystery, a suspected murder. It introduces us to Lisbeth and her dark present and past. The other two were more of a political nature, also linked to Lisbeth’s past. The films are filmed in Swedish with English subtitles and with Swedish actors. I don’t normally watch movies with subtitles, however, these movies were action-packed, fast-paced and engaging. I was not in the least bothered with the subtitles. Each movie is just over two hours long. 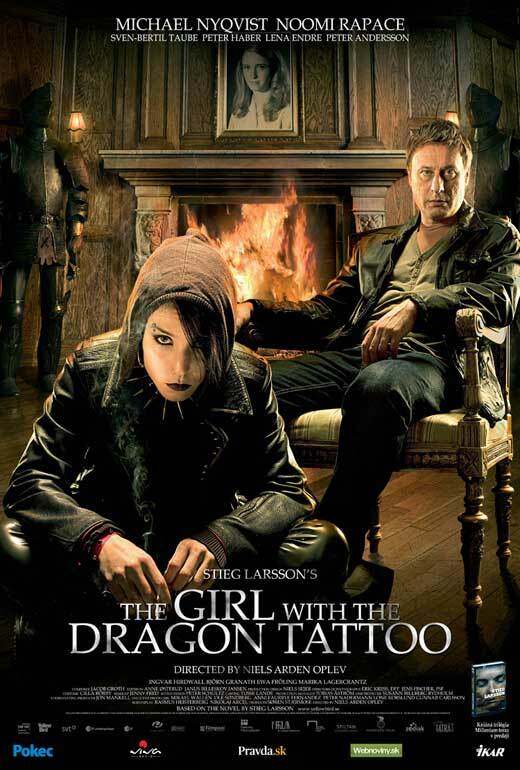 There’s also an American version of The Girl with the Dragon Tattoo with Rooney Mara as Lisbeth Salander and Daniel Craig as Mikael Blomkvist which I think I’ll catch over the weekend to compare. It’s also available on Showmax.